Big data represents a new opportunity and a challenging scenario for our society. The extreme volume and wide variety of the information collected about us, especially when it comes to health, represents a huge potential to improve our lives. Using health data in a more efficient way would allow to better manage our well-being, increase knowledge, optimise services, and accelerate innovation. However, health data remains a difficult area that needs much improvement in order to reach its full potential and benefits such as innovation in healthcare, savings in public spending as well as speeding up research. Given how sensitive this type of data is, it is not surprising that its use sparks privacy and identity concerns amongst patients. Up until now, only few actors are trusted to make decisions on sharing health data. In order to face this situation, Ideas for Change has developed Saluscoop, a socio-technical system that helps to overcome the social and technological barriers to efficient health data sharing and enables the access and control that citizens need to have. Ideas for Change – Salus.coop is one of the winners of the d-LAB societal challenge Transforming the use and governance of personal health data. Salus.coop is a framework for a citizen-led approach to the collaborative managing and governance of health data. The aim of this model is to give citizens ownership and control of their health records and facilitate data sharing. This would bring a much-needed acceleration of research and innovation in healthcare. The framework consists of three key aspects: technological, governance and engagement. The technological framework is a platform that gives people access to their health data and medical records. It sets the conditions on data sharing and makes data keepers and users accountable. The governance framework takes the form of a cooperative structure that aggregates data from citizens, manages individuals’ decisions over data sharing and data petitions from third parties. And, finally, the engagement framework sets the engagement protocols that allow to sustain patients’ interest in data sharing over time. The team behind Salus.coop is working closely with d-LAB to design a comprehensive pilot project that would test and prove the benefits of their solution. The project includes the law firm Roca Junyent, the private company Clinical Document Engineering, and the private foundation Ship2B as strategic partners. The first stage of the pilot consists of especailly developed survey, addressed to general public, in order to understand better how and when people would be willing to share their health data. As a result, a set of comprehensive data licences (legal permits) will be created in order to speed up the decision process for data owners allowing them to share easily their health data. During the second stage of the project, the initial version of the Salus 1.0 technology platform will be developed. The platform aims to allow the access to structured clinical documents and data, from registered users, for medical research purposes. In that sense, the users – citizens members of the cooperative – will be able to select their health data, and assign licenses to share them and make available (or not) for health research, etc. The implementation of Salus.coop could have a far-reaching social and economic impact if it is deployed at scale. Improvement in the processes of collecting personal health data could increase patients’ data literacy and in turn bring greater health and well-being awareness. 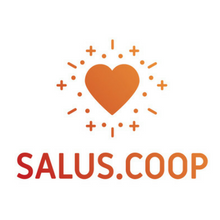 Moreover, the trust-promoting framework offered by Salus.coop could increase the number of people who are willing to share their data for research purposes. In addition, the local impact for the communities of patients involved will be considerable. By raising awareness on the value of sharing health data, this solution would build an ecosystem of local actors committed to accelerating innovation in healthcare leveraging on the active role of patients. Breaking down barriers to data access is essential for the acceleration of such research, potentially improving the lives of millions of people worldwide. No only this, in economic terms this radical improvement in time and efficiency of data collection processes in medical research would result in cost reductions.